The photographic emulsion is made by using the most modern production technology. The emulsion features medium contrast and extremely high covering power which enable gaining a wide scale of halftones even by a relative high yield of 3 to 6 sq. 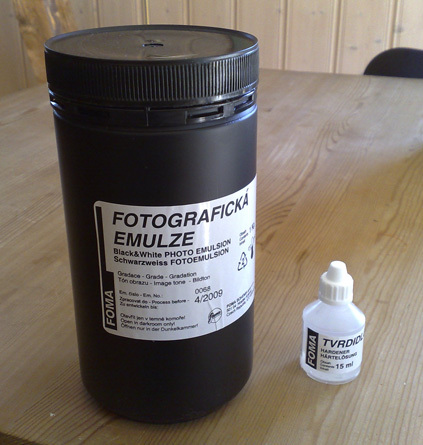 m per 1 kg of emulsion. For the majority of common applications (particularly on smooth surfaces), only one layer of emulsion is sufficient to be spread.